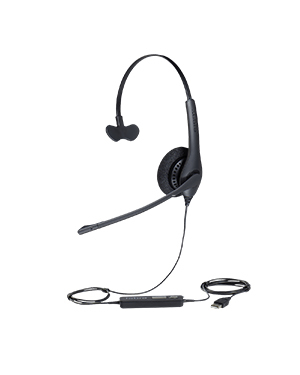 Jabra BIZ 1500 USB Mono Headset is an affordable entry-level professional headset that is structured and designed especially for the medium demand of call handling and management needs of contact centres all over the world. Using its noise cancellation technology, users get to have clearer conversation using the headset, which in the end helps them deal with customer service and satisfaction better. 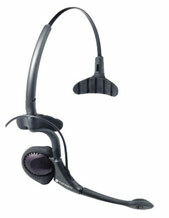 Jabra BIZ 1500 USB Mono Headset is able to get rid of distracting sharp breathing sounds and sudden background noises through its air shock microphone. 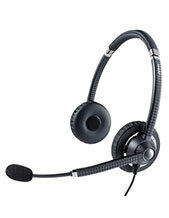 With this, contact centres can be heard more clearly on the other end of the call. This is even improved upon by the integration of HD Voice technology. If you want to find out more about this product, call Australia wide 1300 131 133 today for details! Jabra is a popular developer and manufacturer of corded and wireless headsets for different usages, including call centre environments, mobile phone usages, and office-based uses. A top-notch business and consumer electronics company established in the year 1983, the company has established its worldwide scope with the help of founder Elwood “Woody” Norris. The company is currently a subsidiary of GN Netcom but started as part of the Norcom Electronics Corporation and Norris Communications, Inc. In the year 1993, Jabra was formally formed by Randy Granovetter and Brean Murray when they decided to purchase around 700,000 shares and the necessary royalty for the company’s earphone product. 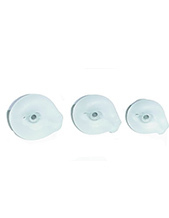 It was then that the company was officially established and when it developed a lot of firsts in the industry. Jabra became the first business and consumer electronics enterprise to develop in-ear-based noise and echo cancellation technologies. It was also responsible for the invention of EarGels and the over-the-air headset tuning.